The Ivy League Connection has been an absolute godsend. We were not too sure about this program at first. Sending our daughter across the country seemed like a very foreign idea and it took a lot to finally get used to it. But after seeing what it has given our daughter we just can’t give enough thanks. We always worry about the fact that we can’t help our daughter with her education due to our lack of English skills. We cannot tell her which college is good or what she should do after high school. Thanks to this program, Loan now has been exposed to different colleges and learning environments. She now has a much better idea of what she wants to pursue in the future. It is so great to hear her talk about her newfound dream college. Seeing her become so much more determined about medical school after the course at Vanderbilt is truly satisfying. We thank the members of the Ivy League Connecting for their dedication. Without them we would never dream of such an opportunity being given to Loan. 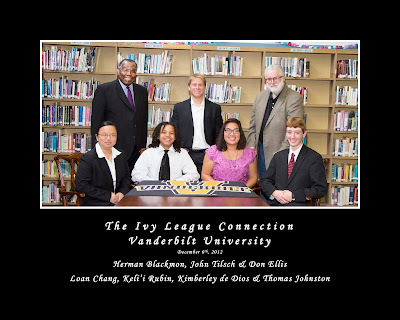 My son, Thomas Johnston, went to Vanderbilt University with the ILC. This was an amazing experience for him! 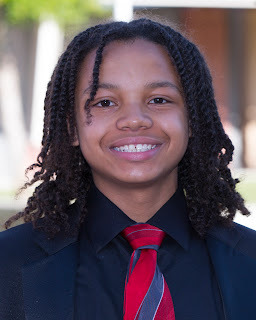 He got to travel, he learned a lot of math, he now has a much better sense of what he wants in a college, and became more confident and independent. First of all, Thomas got to travel for a week prior to starting classes. How many students have a chance to spend the Fourth of July in Washington, D.C.? He also visited New York City, and Philadelphia. They had a chance to tour Columbia University, Georgetown University, and the University of Pennsylvania. What an amazing trip! 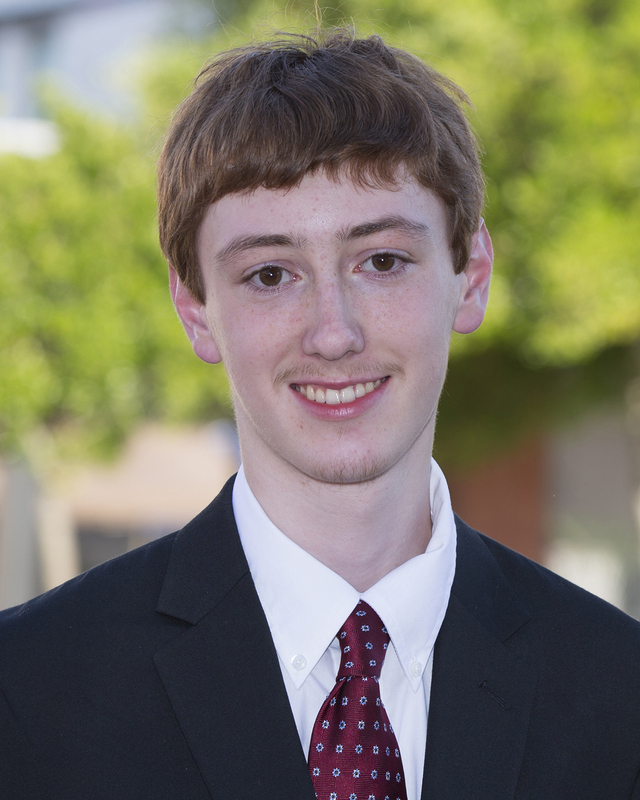 Secondly, Thomas learned a lot of math while at Vanderbilt University. This was the first time ever that Thomas was challenged in math. I could tell from reading his daily blogs that he was enjoying this challenge enormously. He said he learned more math there in a day, than in an entire semester in high school. His instructor, Dawson Gray, was phenomenal! Thirdly, Thomas has a much better sense now of what he is looking for in a college. He got to visit four different colleges. He had a chance to talk with several alumni and found out it is possible to double major in engineering and music performance. Thomas now also has a much better understanding of the admissions process. He had a chance to listen to and speak with several admissions officers, and he participated in a mock admissions panel where he got to look at mock applications and decide who to accept or wait list. Lastly, I feel that Thomas has become much more confident and independent. He took the initiative to talk with admissions officers one-on-one to get answers to his questions about double majoring. I don't think he would have had the courage to do that six months ago. Moreover, he learned how to get along with a roommate, how to do laundry, how to manage his time so he could squeeze in early morning work-outs before breakfast, and get his daily blog done before lights out. 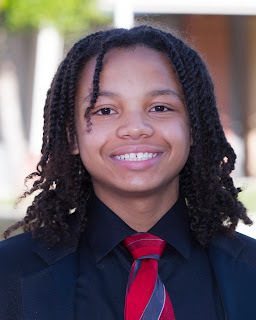 Above all, he came back with a real focus on what he wants out of his education, and seems very confident that he will achieve the high goals he has set for himself. I want to thank Mr. Ramsey and Ms. Kronenberg for their time and efforts in finding sponsors for the amazing ILC program. I want to thank Don Gosney for the endless hours he spent planning and organizing the logistics of the program, and for teaching the students how to blog (our family absolutely loved being able to read the blog of each day's adventures!) I want to thank Mr. Mannix for being a great chaperone for the Vanderbilt cohort, and for making healthy care packages for the students when there wasn't enough time for sit-down meals. I couldn’t be any happier the moment I found out that my daughter Kimberly was accepted into the ILC in December of 2013. Before applying, she mentioned the opportunities the Ivy League Connection could provide for WCCUSD students. She explained to me how she could travel to East Coast universities and eventually attend a summer school program at no cost to our family. I didn’t know that any such program could exist. Because this was such a great opportunity, I gave her my blessing. Although she’s never been away from home for more than three days at a time, I couldn’t let my apprehension for her safety get in the way of this great opportunity. When Kimberly and I attended these milestone events before her upcoming trip, I realized that this was going to be really good in order for her to grow and mature. At the dinner at La Folie in San Francisco, I met alumni of Vanderbilt University and benefactors of the ILC. I could see that this was beginning to broaden Kimberly’s college aspirations. And as for me, I had no idea that sending my child to a university outside of California could ever be financially feasible. But it was then that I started to realize that she could study outside of California if she chose to. 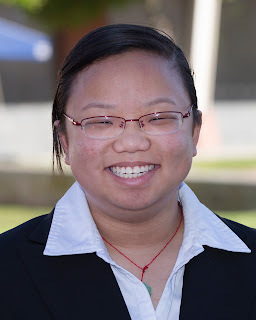 Reading Kimberly’s blog from when she saw Pinole Valley grad Dyana So now attending UPenn, I know that my daughter isn’t limited to applying to schools under the University of California system. Each of her posts during her stay in the East Coast has further opened my eyes. I never would have dreamed of being this far away from home at her age. When my daughter came back, I felt that she had grown and matured from her experiences. She had the opportunity to attend the Med School 101 course at Vanderbilt University for three weeks and tour three colleges beforehand. At the Vanderbilt Summer Academy, she stayed in the dorms and attended class for six hours. It initially pained me not to be there for her. But she managed to be on her own. This was a golden opportunity for me to see Kimberly in a new light, ready to begin her college path as she now faces her senior year at Pinole Valley High School. On behalf of my husband and I, I’d like to thank Mr. Ramsey, Ms. Kronenberg, Don, and all the sponsors for making the Ivy League Connection available to students like my daughter Kimberly. And thank you Mr. Mannix for taking care of the Vanderbilt cohort. You’ve given my daughter a once in a lifetime opportunity. Ever since the first day I learned that I was required to write a blog, I have been thinking about what I would say. I wrote many generic paragraphs of ways to say 'Thank you'. However, after my son came back I realized just how much those generic paragraphs would not do this program justice. As a single mom, I always wanted the best for my children. I was pregnant with my son at a young age and I didn’t get to go to a four year college like I always dreamed I would so naturally I always wanted more for my children. I just didn’t know how I would get it for them. At best I prayed for good grades so they could get a scholarship. This program gave my son a rare opportunity that I believe have changed the course of his and my other children's lives. My son was able to see his hard work pay off, which is a life lesson that will benefit and motivate him throughout his life. My younger children watched his journey and my daughter who was having trouble last year in school, told me she plans on working harder this year in school so that she can be like her big brother. Talk about a proud mother moment. 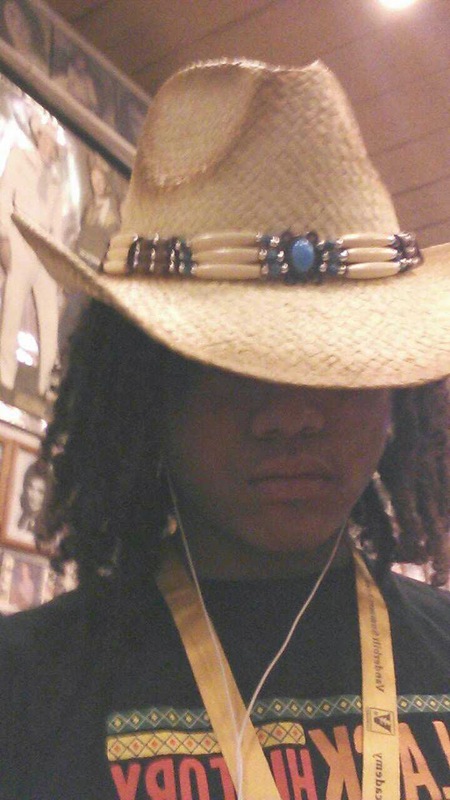 When my son came back from his trip I got a chance to live through his eyes. Through his eyes I took my first airplane flight to the east coast. I stood in Washington, D.C. and could hear the fireworks for the first time. I stood at the Martin Luther King statue and felt a sense of pride I have only read about in history books. Through my son's eyes and experience I was able to attend classes and stay in a dorm. Just a couple years ago, I was an incoming freshman embarking on my high school career. Walking through my school's college fair, I came across a booth for a program called the Ivy League Connection. And there was former ILC Ambassador Dyana So, manning the table and talking about the ILC in all its glory. As a freshman, I was ineligible to apply, but had the intent of applying either my sophomore or junior year. But as my sophomore year came wallowing by, I did nothing while I saw others try it out. And after hearing about my friend Yessenia Reyna's days at VSA, I regretted nothing more than not giving it a try. So as I started my junior year, I started school knowing that I couldn't let this opportunity pass me by. I didn't need Don's information session to sell me on the idea of applying as an ambassador for the ILC. With each of the school's program's descriptions in mind, I had an idea of which programs I hoped to apply for. Applying for Vanderbilt University on a whim was one of the best choices I've made in my life. Because I'd be cutting it close with my submissions, I almost passed it up. But because of Yessenia Reyna's encouragement, I quickly wrote my essays and emailed them to Don. I soon found out I went through to the interview round and the rest was history. After months of preparation, I was out and about on the East Coast. Free from family and friends, I was in charge of my own well-being for three and a half weeks. And like former ILC ambassadors have said, being a part of the ILC is a once in a lifetime opportunity. Just as I had initially thought, I learned things in and out of the classroom. In doing so, I learned more about myself each and everyday. The knowledge and self discovery that came along this trip was endless. Acquiring knowledge is endless just as this body of water is. As a naive freshman, I was stuck inside the Bay Area bubble. Attending college in Southern California was drastic enough. I thought that was what all there was for someone like me. But because of what the ILC has done to me, I know that there's more for WCCUSD students than UCLA or Cal. Although the UC system offers one of the best college educations in the country, students in our district tend to limit themselves only to UCs. And the same could go for anyone in the country choosing colleges that are most comfortable. Personally speaking, I was one of them. I would have never thought that someone from our district could ever venture off into the unknown like Dyana So has in attending the University of Pennsylvania. Not only is it far far away from Pinole, CA, but it's one of the best private universities in the nation. She's left all that was familiar to her and was fearless in doing so. 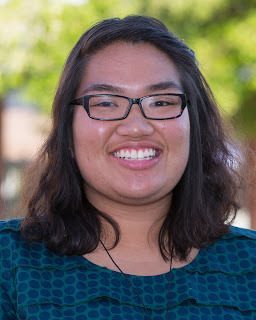 And during her freshman year, she's tackled living on a different side of the country making a new home for herself. Before arriving to Columbia University. From the West Coast to the East Coast, to a public or private education, everyone has the opportunity to be in charge of their own destiny. Sky's the limit, and so is a student's future. No one should be bound to staying in a familiar environment if given other alternatives. Venturing into uncharted territory is part of becoming independent. And by leaving my family behind these past couple weeks, I got a taste of what being independent is like, free from comfortable settings. I want more for myself than I ever have. As a rising senior, the college application process is soon underway. And from my tours and dinners with former and current Georgetown and Vanderbilt students, I hope to look more into universities outside of California. There's thousands of colleges in the United States alone that no one can simply subject themselves to just applying to nine University of California schools and a couple California State Universities. 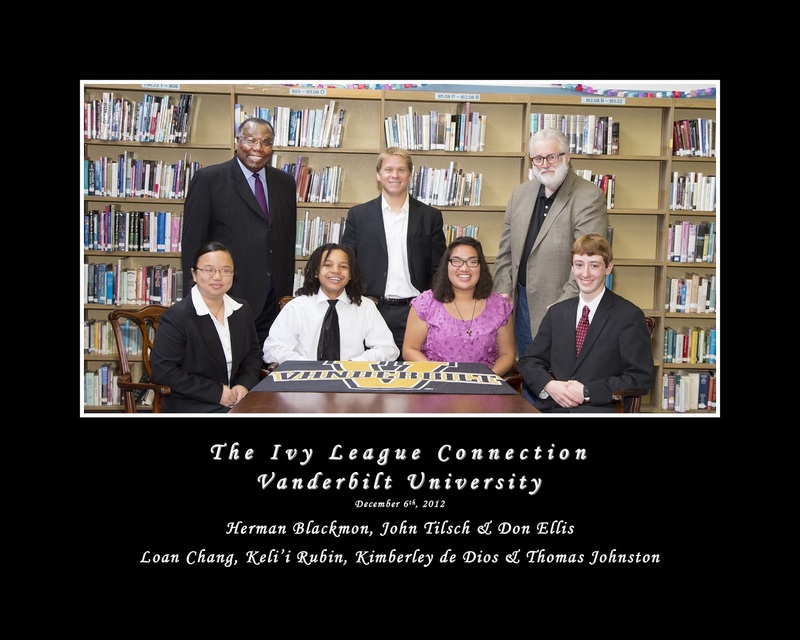 But if it weren't for the ILC, I would have never heard of Vanderbilt University or Georgetown University, two schools I never would have heard about. And now they're two schools I may actually apply to. Once arriving at Vanderbilt Summer Academy, I gained a wealth of knowledge in my Med School 101 course while discovering more about myself. Med School 101 has taught me the harsh realities of what it takes to be a doctor in our current healthcare system. While there were days that were depressing, it only compels me to want to do something about it. Although I'm not completely sold on the idea of being a doctor, I do know that that option is always there if I choose to act on it. I know that I'm not the only person who's indecisive in their career path, and I'm not ashamed of it. Because of my instructor Mary, I know I don't have to have all the answers in the world right this minute. Sometimes, it just comes naturally, and with time. All I know is that whatever I choose to pursue, I have to be passionate in doing it. Whether I become a doctor or whatever life has planned for me, as Mr. Hillyer would say, it has to have the "That's cool." factor. If not, there's no reason in pursuing it at all. With so many bright young minds of all different backgrounds, I felt slightly out of place. Coming from a school where I was easily in the top 10 percentile of my class, to VSA where everyone's just as intelligent if not more, is frightening. But this environment is something that's been both refreshing, and inspiring. It's okay to not be the smartest person in your class. I was surrounded by individuals who came to class eager to learn from our guest speakers and instructors, and from each other as well. It felt a lot different than any of the classes I've ever been a part of. I've learned more in this three week class than I ever have in some of my past classes. X amounts of knowledge was thrusted upon me in such a short amount of time. I'm more motivated than ever to push myself this upcoming year. Rather than taking it easy my senior year, by pushing myself, I hope to prepare myself for what lies ahead. I'm fully aware college won't be an easy ride, just as Med School 101 has proven not to be. I can't imagine being in a different course, let alone a different program. Getting a taste of what medical school is like, I was given an advantage not many students during their undergraduate years of study can say. Listening to the guest speakers and instructors that I did, I couldn't be any more grateful. Having been given my first choice program and course, I couldn't have been happier with the outcomes. My lovely Med School 101 class. Before leaving for my East Coast journey, I was afraid of not making any friends at VSA. At least, I was a little apprehensive at the idea of it all. And I couldn't help but feeling that even more after arriving late my first day. And I was completely wrong. It would have been hard not to make friends in such a welcoming environment. 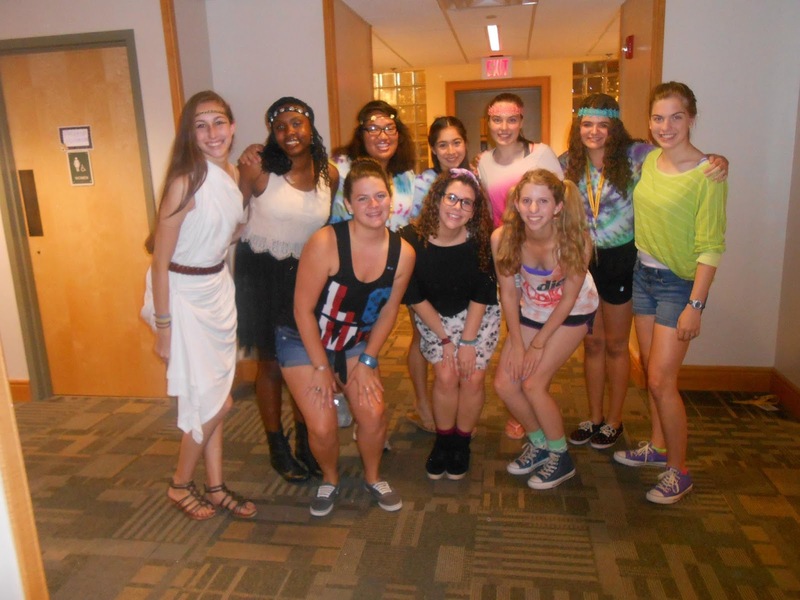 Being at any summer camp, everyone is that new kid on block, let alone dorm room. I was forced to break free from distraught and make new friends. Given this amount of time, it's hard to think how I made so many friends, let alone close friends. From my proctor group to my Med School 101 classmates, to all the VSAers, we became a family. Not only did I enjoy their company, but I learned something about each about where each of these individuals came from. Never did any of these individuals show that they did have money. You would have never known about their financial circumstances right from the start. There, I met some of the most humble and brightest youth all gathered into one summer camp. I never felt on edge for being sent to VSA on a scholarship. Money was the least of our worries. 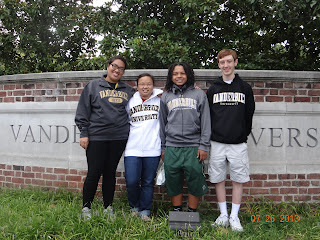 Instead, we all hoped to make the most of our stay at Vanderbilt. Whether I met someone from my home state of California, or someone all the way from Shanghai, they all made my VSA experience unforgettable. One last proctor group picture for our last dance. With that being said, the Ivy League Connection has definitely changed my outlook on college, let alone life. This journey has opened up my eyes and prepared me for college like no other. I knew that I was in for a life changing experience, but not to the degree that I was immersed in. I came into this experience wrapped in my cocoon, and now I come out of it, a fluttering butterfly. There's nothing but advantages to being a part of the Ivy League Connection. Sadly, not everyone from our school district can take part in this opportunity. But as an ILC ambassador, I hope my daily posts on this blog inspire students to look beyond the boundaries we've all been guilty of staying in. No one is preventing you from going after what you want but yourself. After all, everyone is in charge of their own destiny. This couldn't be more self-evident throughout my entire East Coast stay. Moving ahead towards my senior year, I plan on taking action and talking to students of Pinole Valley High about my ILC journey. And I hope eligible students jump at this offer. Besides, there's no hurt in trying. Given my experience, you'll never know unless you try. 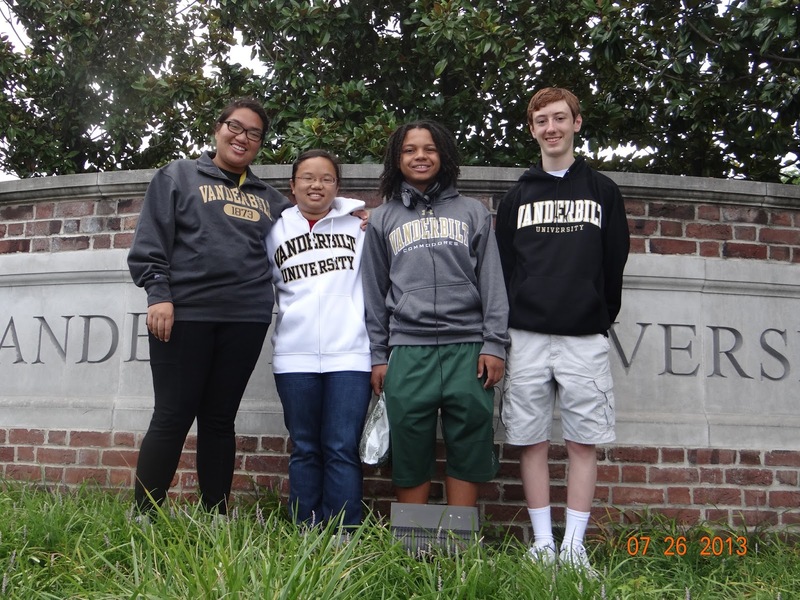 Before leaving Nashville, dressed in our Vanderbilt apparel in front of VU's sign! I can't thank the Ivy League Connection enough for accepting me into their program. It's done so much for me that I hope to give back in every way that I can. I can't help but feel blessed to have taken part in such a once in a lifetime opportunity. I'd like to thank everyone who has made this dream a reality: Mr. Ramsey, Ms. Kronenberg, Don, the sponsors, Mr. Mannix, and my parents. I will forever be grateful and humbled to be one of this year's ILC ambassadors. With a wealth of knowledge behind me, I look forward to capping off my high school career and starting a new chapter of life: College. Although my East Coast experience has ended, my journey continues. As my S-House Space Jammers would say, to infinity and beyond! The suit and tie life, "Professional Side." When I think about what the ILC and the Vanderbilt trip has done for me I think of the words game changer. I say these words because the ILC changed my life. The first thing the ILC did for me was test my business and professional skills, which I loved because I finally got a chance to put my forensics' skills to use outside of debate. I feel that the ILC taught me and forced me to be way more independent than I usually am. Our independence was put to the test as we woke up on time, went to class, made our own decisions, all thousands of miles away from home. These were some of the tasks and responsibilities that the ILC trusted us to do, and it caused us to grow up and for-fill them on our own without any help. Okay maybe a little help from Don as he sent a couple of emails here and there. The ILC forced us to grow up as they made it clear to us that the things they instructed us to do were mandatory, or else we would be fired just like a business job. Us growing up began right from the first meeting in the school's library. We all found out the intimidating requirements in this first meeting, as some backed out of an opportunity of a life time like cowards, while others stepped up to the challenge like young men and women and blossomed like a rose in the crack of cement. This program obviously wasn't for everyone as there were a given number of people who were accepted. After the information session everyone who was still interested in the program had to put on their big boy pants and get ready for the ride as we were put through an interview that determined the programs finalists. This was stressful waiting in class for the verdict of who made it or not, and I tell you when I made it I felt like a boy in a candy store as I tried my hardest to stay professional, which unlocked some inner self control. All of the events scheduled and tasks that were given to us required professional care from being on time, getting jobs done by specific date, checking your email, and most importantly following directions. I feel that I can go into, well almost go into a corporate job and be prepared for the life style. 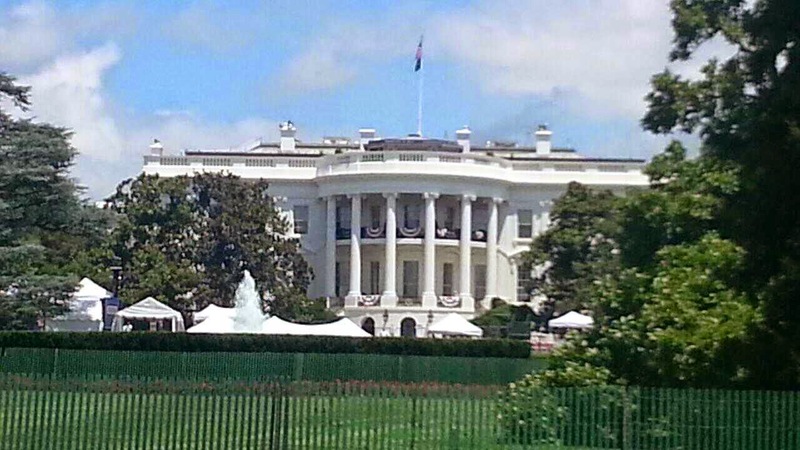 The second game changer occurred when I stepped off the plane in beautiful D.C. Stepping off the plane in D.C. made me realize that I really wanted and need to go out of state for college. Discovering a new world in D.C. made me fall in love with the scenery, which led to one of my top two schools. Georgetown locked up the number two spot on my dream college list. The ILC strayed me from my plans of attending college close to home, as I fell head over heels for Georgetown and what they are about. Georgetown is a school that wants their students to give back to the community, and that's all I ever wanted to do growing up in San Pablo, California. Georgetown was the top of the top for me out of the colleges we seen. I really loved their internship program, and I later found out that the majority of colleges we visited didn't have this program to offer. When I ventured through D.C I began to see that it was a combination of forest and city life. This showed me the capital had a calm side I could always run to, but it also showed me that it had enough activities to offer like a city. Trying to save lives in microscopic surgery. I am Bi-U the GATOR WRESTLING CHAMP! When we got to Vanderbilt my engineering class made me realize I wanted to do something in life that required my mind and hands. I enjoyed my class, but I definitely don't want to do BME or Bio Medical Engineering. Before this class I thought that I wanted to do something that required me to wear a suit and tie the rest of my life, but I was way off. I really want to invent the next big thing, which I don't know of just yet. BME was involved too much medical background for me. It seemed to me you had to have all of the knowledge that a sergeant has if not more when being a BME. 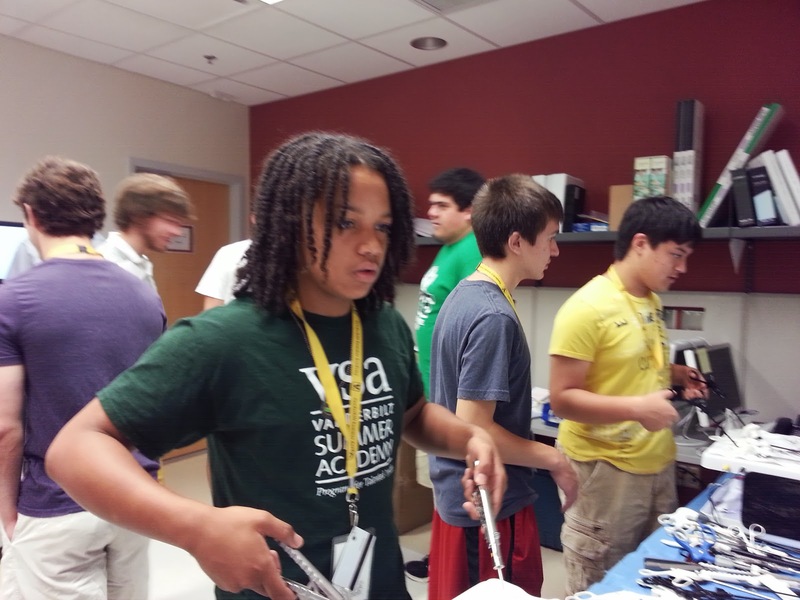 I feel that the VSA program interacted their students very well. Being at school for so long made me home sick, but it also made me connect with people bringing me out of my hard comfort shell. The people in my proctor group were very close knit kind of shying me away from my homesickness, and bringing me into my own person. At VSA I had no one kind of like an actual college at first, but refusing to be a loner forced me to venture out into new groups. They were actually friendly and I really connected. Some connections were so strong that I shed tears as they called me Bi-U and for the last time. 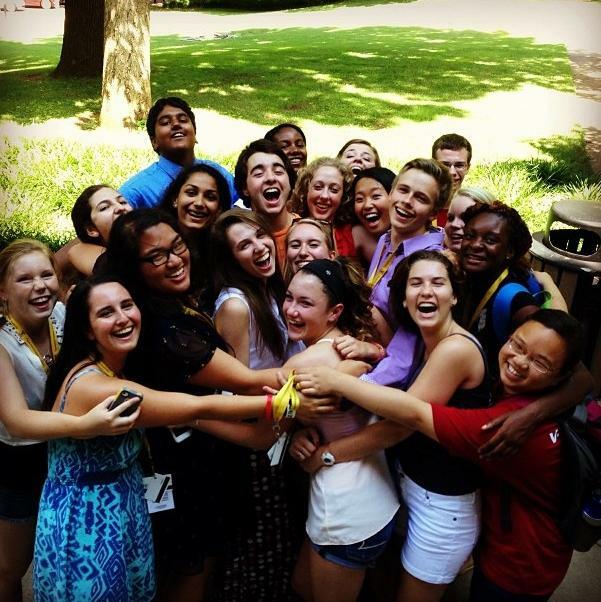 My class showed me that a bunch of teens can get together for three weeks and be a family. I honestly believe that the ILC has made my mind up for a lot of things with this very expensive trip. I feel that with me experiencing this trip I know way more about what to look for in a college, I feel like I can now go off to college in another state without feeling homesick, and I also feel I can now live more independently then I ever thought I could. I feel that the ILC is a program that should be offered nationwide, because it teaches teens how to grow up in the prime of their high school lives. This program also allowed me to get a feel of what I need in a college in order to go there. I thank the ILC for everything for the trip, for the life time connections, and most importantly showing me a taste of the adult life. I can't thank the ILC enough; I look forward to seeing you next year. I was nervous throughout my time with the ILC. I was nervous about writing my essay, submitting it, the interview, the first few blogs, whether I would get the Med School 101 course, the trip, making friends, taking the course, and now writing this blog. I think I was nervous even before the first presentation Don give, nervous about whether or not I would be selected to attend the presentation. Back then I wasn't the most confident person. I didn't think that my essays or interview would stand a chance against the fellow applicants.However after each nerve-racking event, the feeling of relieving that flows through me makes it all worth it, it makes me a little more confident about the next. I knew I wanted to be a part of the ILC the minute I heard of it and there was no changing my mind. I knew exactly what my first and second choices were and I knew exactly what course I wanted to take. I was going to do whatever it takes to make it happen. I was prepared to grovel at my parents' feet and beg them for permission. I was prepared to put in hours of research to write a worthy essay. The parent begging part I wasn't too confident about since they have denied me of a similar trip before and it was only one week long. I didn't know how they would feel about a couple of weeks of independence. Of course as I mentioned I was also not too sure about my essays and interview. I reached out to my peers and upperclassmen to help me edit and revise my essays. I think it was close to 11 PM when I got the email from Don telling us that we are qualified for the interview. I immediately jumped from my desk and let out a yelp. I danced around for about five seconds before I heard my dad yelling at me to keep it down. I told him why I was being loud-ish and his reaction was a little disappointing, probably because he wasn't sold on the whole ILC thing yet. Once I knew that the interview was a 'go', I once again asked for help from my elders. I think that attending the mock interview helped me the most. I got a good outline of what to prepare for. I remember my friends and I talked about how early we were going to show up at the front of the library for the interview. 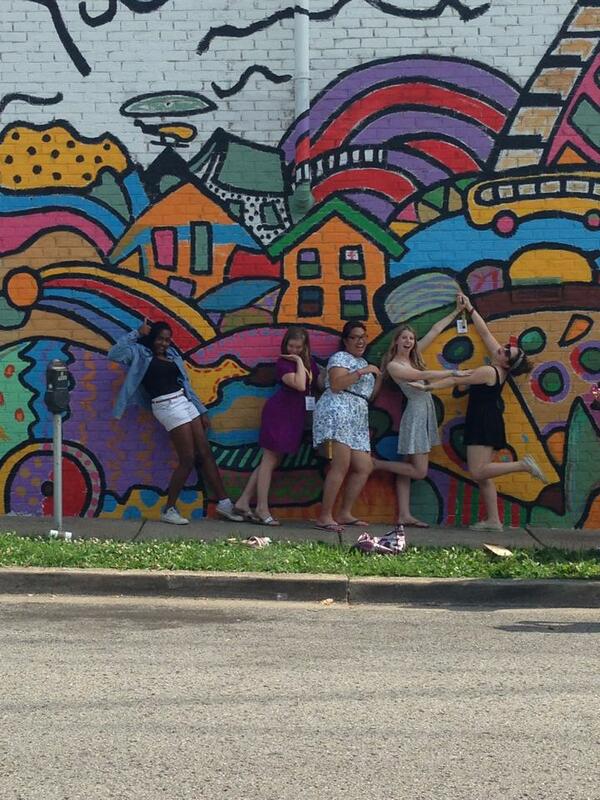 We all joked and said that we shouldn't even leave the school and we should just go there. When the day did come I ended up waiting there one hour earlier than needed because I wanted to make sure that I was there before Don and that I didn't read the time wrong due to my nervous wondering eyes, so one hour seemed like a good buffer. From beginning to end, it felt like someone took all my nerves and muscles and twisted it repeatedly. I had a sick feeling in my stomach and I thought that I was going to pass out. As we were waiting for our turn and also while we were waiting for the final decision, I paced around in the small room while my friends were all sitting and looking extremely calm. For me, it was going to be the end of the world if things didn't go well. Luckily it did, and I hurdled through one of the biggest ILC obstacles. I think I also let out a yelp when the panelist announced my name and my heart pounded faster than when I was anticipating. Don explained to us repeatedly what was expected of us throughout the whole process and I had it engraved into my head. I knew exactly what I wanted to do with everything that was going to be given to me. Before getting the experience I knew that I was going to spend time convincing the masses of students to apply for next year. And knowing what I know now I would have included convincing them how awesome East coast colleges would be would be. I was going to anyway but not with the determination that I now have. I was prepared to be the mature, responsible, and punctual adult that everyone in the ILC expects me to be. The months that followed the interview really tested everything that was asked of me. I had managed to get my parent to flow with the whole ILC trip and once they understood everything about the program (after about a million explanation, even up to now), they loved the idea. Between my friends (those who were also at the ILC) and I, we had wordlessly setup a Don's Email Watch Group. It was an unsaid mutual agreement that we would alert each other whenever Don would send out an email. Each time that I thought that an event was a a few weeks away, it would come speeding without my knowledge. Next thing I know the first blog tutorial passed, the school board meeting passed, the city council meeting passed, the alumni dinner at La Viola passed, the orientation passed and it was departure time. I was prepared for a life changing trip but what I got was just beyond that. It's like comparing a ten (on a scale of 1-10) to an infinity. I cannot stress how important it was for me to be able to visit UPenn, Colombia, and Georgetown. To be able to feel that Independence Day spirit in DC that make me more determined to make something out of my future. I made a connection at Georgetown that had me prepared to put a ring on it. Unfortunately Georgetown does not have a binding policy but early decision is good enough for me. I knew that going out of state for college was an option for me even if my parent wasn't on-board with it yet. The only thing was that I was pretty much going into it blind. I didn't even know that Georgetown existed and I didn't know that not every college is for me. I never thought about how the environment would affect how much I would like a college, I just thought that of the academic was good then I was good. I loved how Colombia valued their education but the campus itself felt a little suffocating. But as I step foot onto Georgetown University grounds, I knew that something special was awaiting me. As I hear the admission officer talk and the tour guide talked, each box on my What To Look For In A College list was checking itself. The dinner with the Georgetown alumni and current students not only let me explored GU more but it also prepared me for college in general. Aside from the academics the first week of the trip was mind blowing. I don't think I have ever had that much fun in my life. I have been to more states in one week than I have been in the eight years that I have lived in the U.S. The knowledge that was given to me from the Med School 101 course was truly priceless. It was like my whole life I have been using the same brown, normal size, wooden door to get me to places but after the course it was like all the other doors, more colorful and varying in size, finally opened and I used them to broaden my path. It allowed me to think more about my career path and it made me more determined than ever to follow it. I know that wanting to help other is a good reason to why I want to be a doctor but medical school wants more than that. This course helped me find those reasons and pushes me to complete my goal. I was also exposed to other possibilities in the field of medicine. I learned that I don't have to major in science to go to med school, I can major in anything I want and follow my passion to make myself unique. The instructors were the best instructors anyone would have ever asked for. They did not baby us, they gave us a slightly water down and speedy version of what medical school would be like. They worked extremely hard to give us shadowing experience that will always be a part of me. My favorite lessons are the ones where I learn about the ethics that comes with pursuing the medical career. I hope to be able to use what they taught me and what I experienced to help contribute to my own school's Health Academy. Not only was the information given in the course invaluable but the environment in which it was taught in was rare. Every single student in the class wanted to be there. They all wanted to learn, to explore, and to experience. We were all competitive and we all loved to challenged ourselves. I love it to death! Outside of the course, VSA did plenty to help us prepared for college. My favorite experience would have to be the one where I got to be a college admission officer for a night. They not only told me what CAO expects from a student, they showed us how the process works. I learned that personality and background play a big part in a college application. I hope to be able to replicate that experience and bring it back to my own school because everyone deserves to see what it's like. I also learned, from college info session, that I can go beyond medical school and law school. I could further my education by getting into a MD/PhD program. I could work to become a doctor and work on research to help us better understand medicine. Being able to hear about all the proctor's first year college experience felt like I was being pushed out of the way of a speeding truck. I know that college is going to crush me like the tiny ant that I am but they proctors told me that it was all a part of the experience and the growing. Making friends at VSA was one of the most amazing things ever. We all didn't care about how we presented ourselves and we all had a silent agreement of "Let's be more weird together". My friends and I was a pretty crazy and comical bunch. I have gotten closer with them in three weeks than most other that I have known for years, sharing such a great experience together really brings everyone closer. We fought like regular friends but no matter how serious we would be laughing and joking at the next meal. It was interesting to hear different stories about where everyone lives and while they thought that me living in California was the coolest thing ever, I thought that their life was awesome. Being able to live independently had taught me a lot of things. If there was no one complaining about the state of my room then I would leave it be, messy or not. I cannot wake myself up of I was given the option to not attend to something. All my clothing should be the same color for the sake of them staying the same color. Ever since my return from the trip I feel like me but not. I look at most everything differently and think about everything differently. I still have more growing to do but I certainly have grown a great amount since the ILC have became a part of my life. The journey came and went much too fast and I wished that I can relive this period over and over again. I have gone pretty far from where I started. I discover a dream college, new paths, I made some great friends, and learned unforgetable lessons. I went from being a shakingly nervous, under confident, uninformed, and lost little caterpillar to a chrysalis. From the outside nothing is happening but inside big changes are taking place. I'm not ready to be a butterfly yet but some day I will be. I know I will attempt to be a part of the ILC again to aid my metamorphosis.